Run the mower over the area with the grass box on and you can collect up the debris. For smaller areas you can rake out the thatch. Following this you can spike and aerate using powered equipment such as a hollow-tine spiker or aerator or again, for a smaller area simply use a garden fork. 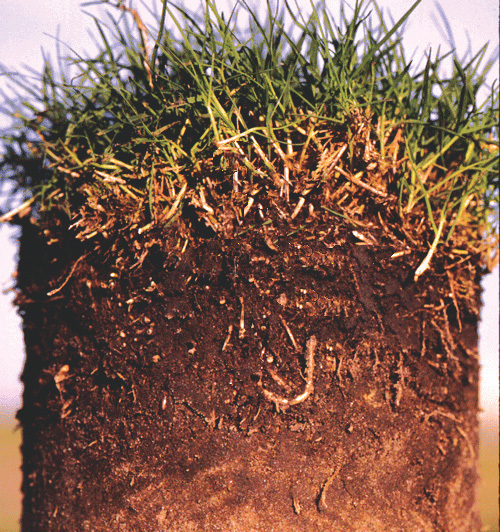 All of this will help drainage and act as part of you maintenance regime for a healthy lawn. If you end up with any bald patches reseed by adding grass seed to a mix of garden compost, soil and sharp sand and spread it over the area. Creating a new lawn using turf gives you an immediate result, although it’s a touch more expensive than seeding. Finish preparing the area ready for laying the turf in October to November when the conditions are more favourable for the grass to root.